Hua Tunan will have a new print available soon titled, “Prairie Fire” via Galerie F. It is approximately a 35.5″ x 21.5″ Giclee with hand-embellishments, signed/numbered edition of 40, and cost $325. 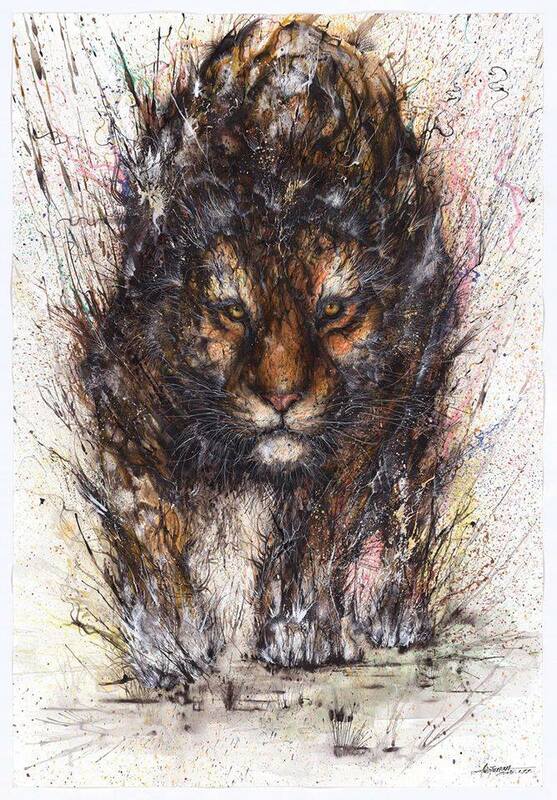 This is the first of a series of three prints to be released by Hua Tunan exclusively through Galerie F. On sale Monday, January 26th at a random time between 2pm – 3pm Central (12pm – 1pm PST) HERE. Following two web-exclusive print releases this spring, they are excited to announce Hua Tunan’s first ever exhibition, 大地之灵 :: EARTH SPIRIT, to be hosted by Galerie F. This all new body of work will be based on different animal forms in nature. The artist will be traveling across the globe to join them for this momentous event – over a dozen new original works and paintings and an in-store only print release is making this exhibition the talk of the art world. While here, Hua Tunan will create murals around the city and transform the gallery space for his show. We’re already receiving RSVP’s from fans around the world who are flying in to see this themselves. This entry was posted in Art Prints and tagged Hua Tunan, Prairie Fire by admin. Bookmark the permalink.